Are you looking for the perfect Christmas gift for the men in your life? Well, you can stop searching right now. GlassblowerBen’s specialty whiskey glasses are the perfect Christmas gifts for guys this holiday season. GlassblowerBen offers a number of specialty, hand-stamped whiskey glasses that come in six varied sizes: small, medium, large, slanted, medium thin, and large thin. As a Louisiana-based company located in historic New Orleans, GlassblowerBen has a host of specialty whiskey glasses for Louisiana residents and fans alike. Even our manhole covers have their own recognizable design. Enjoy this classic symbol of the City of New Orleans as a stamp on the bottom of a handcrafted Dombey glass. The hand-stamped NOLA manhole cover glass makes an excellent gift for locals and visitors alike. 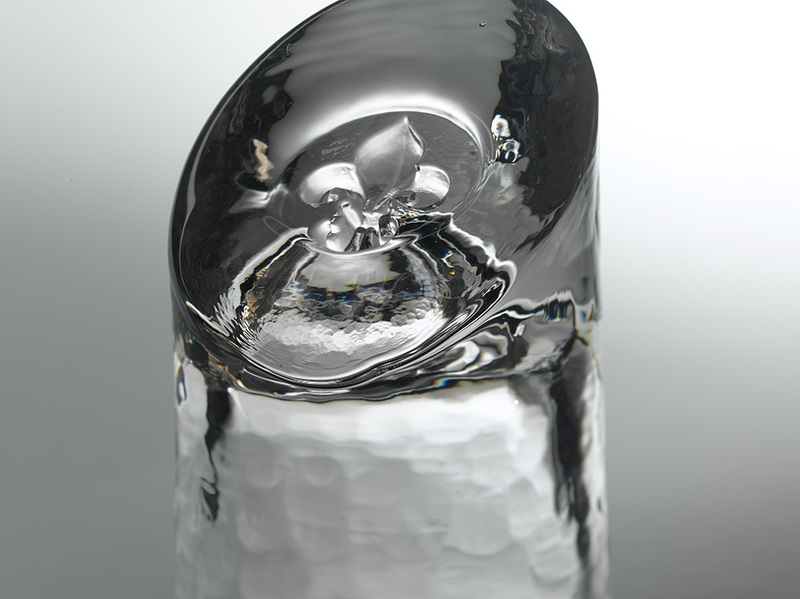 The glassblowing technique we use makes each glass truly unique, a one-of-a-kind product you can’t buy in stores. Celebrate the Sportsman’s Paradise with a toast to craft spirits in an unparalleled, handmade custom rocks glass. Our state is like no other in the U.S., and drinkers will be able to enjoy a whole new drinking experience with this glass. This one-of-a-kind Dombey glass features an infinite, interlocking pattern that creates a mesmerizing optical effect and is a great celebration of mathematics and philosophy. It’s the perfect gift for the intellectual in your life. With its simple, clean design, the hand-stamped grid bottom glass makes for a versatile gift that is the perfect present for anyone this holiday season. For a Christmas gift that’s simple, sophisticated, and straight-drinking, we offer a three sizes of classic, custom Dombey rocks glasses that give you a great way to enjoy your favorite holiday whiskey without too much ornamentation. With Christmas drawing ever closer, now’s the time to stock up on unique holiday gifts to give to your friends and loved ones. All of our whiskey glasses are handmade by expert glassblower Ben Dombey, providing you with a one-of-a-kind Christmas gift that keeps on giving every time you pour one to celebrate. Contact us today or call 504-603-7080 to get your order in before the hectics of the holidays! Meet the Maker Event Coming to GlassblowerBen! Here at GlassblowerBen, we are thrilled to announce an exciting event happening soon right here at our very own studio. GlassblowerBen’s Ben Dombey has been selected as a featured “Maker” by Maker’s Mark. This recognition comes after years of hard work and a mastery of his craft. Maker’s Mark has scoured the country to find influential artists and artisans who create inspirational pieces. They have partnered with GlassblowerBen to throw an invitation-only event that highlights both their delicious cocktails and the beautiful glassware in which they are served. On November 29th, a select number of people will be able to join us at the next Maker’s Mark “Meet the Maker.” Featuring crafty cocktails and delicious food, the highlight of the evening will be a glassblowing demonstration by Ben Dombey, finishing off with a Maker’s Mark tasting tour led by Maker’s Mark Diplomat Frank Krockenberger. The event starts at 5:00 P.M., where guests can grab a drink and meet with some of the team members at the studio’s main entrance. After this, there will be a glass blowing demonstration by Ben at 6:00pm, followed up by a Maker’s Mark portfolio tasting with Frank. The night will cap off with premium Maker’s Mark cocktails and snacks while networking with Ben and the Maker’s Mark team. Glass came into Ben Dombey’s life in 2003. It was like a release, a calling, a passion, and an addiction all rolled into one beautiful muscular fire-dance. Ben has devoted his life to this calling ever since. Ben majored in glassblowing at Tulane University in New Orleans and received his Bachelors of Fine Arts in 2008. After two more years of working in the New Orleans glass world, it was time to head to grad school at the Rochester Institute of Technology. He received a Master's of Fine Arts in 2012. A versatile and accomplished artist, Dombey has traveled around the world to work with the best of the best. He currently lives in New Orleans and continues to make glass full time. Frank started his career with Beam Suntory in October of 2015. He has what may be called the best job out there, educating and selling the Maker’s Mark portfolio of Bourbon. When Frank isn’t building relationships at one of the many great New Orleans bars and restaurants, he is at home with his wife Leslie and their two daughters, Delaney and Leighton. They travel as often as possible to draw on different experiences and indulge in their love of seeing new places. We hope to see you at our upcoming event, but you don’t have to wait until the end of November to come check us out! Contact GlassblowerBen today and see all the amazing glassware we can craft just for you! Here at Glassblowerben, we are very proud to announce the launch of a new product to add to our growing collection of custom, handblown bar glasses: handcrafted wine glasses for The Federalist, an American-made craft wine company. These glasses were created after the forming of a special partnership between our two companies and they are only available through The Federalist. The Federalist creates a bold craft wine product that is the culmination of years of development. Their collection is a distinctly American union of wines that break free from wine tradition in the pursuit of perfection. The Federalist’s founders were inspired by the ideal, “Whatever I’m drinking should taste good, dammit,” and their wine lives up to the phrase. The result is a line of distinctly American craft wines with all of the bold spirit and unwavering character of the revolutionary American icons that adorn every bottle. With its origin arising from the “virtues of every forward-thinking, hard-working, red-blooded American,” this is American Craft Wine at its finest -- bold, original, and revolutionary. Made from 100-year-old oak and old school friction fit iron hoops, the barrels used in production are every bit as special as the wine that’s made in them. Without these nuances of oak and iron, the end product probably wouldn’t taste so damn good. The Federalist’s bottles are carefully crafted with every detail in mind to capture the beautiful essence of flavor and forward thinking of the wines contained within them. From the curve of the bottle’s neck to the display of revered American revolutionaries spread across the outside, the thought, care, and beauty put into the design ensures a perfect drinking experience and is entirely emblematic of the quality and craftsmanship that goes into the wines within. No great craft wine can be complete without excellently custom, handcrafted wine glasses to go with it. As a proud product of our very own Ben Dombey, these gorgeous glasses are the epitome of simple, functional yet beautiful design and are expertly crafted with one purpose in mind: The Federalist and the great American spirit it represents. We too represent that proud American artistic spirit in our own craft. Glassblowing is a proudly individualistic art that strikes at the heart of what this wine is all about. Hard work, dedication, and a commitment to unrivaled excellence are all hallmarks of this lost art, and we are honored to be able to make our own contribution to this “spirited” celebration of American greatness. As an expertly handcrafted vessel, our hand blown wine glasses are also a testament to American ingenuity and the roughly refined tastes of our people. Our glasses’ gorgeous design serves as the perfect container to get the most in taste and enjoyment out of any wine you drink. Try these glasses with your next vino and we think you’ll agree. This is one practical piece of art that will make you proud to drink your wine -- and we can certainly all toast to that! Although The Federalist wine glasses are a special collection only available through The Federalist, you can shop for a wide selection of custom, handcrafted cocktail glasses in the GlassblowerBen store. Halloween is just around the corner, and here at Glassblowerben’s, we have the perfect thing for you to start celebrating! Every glass at GlassblowerBen can be customized to create the ideal gift or a classic addition to your home bar. As a New Orleans-based custom glassware company, we give special care to this haunted holiday. Our handblown Halloween glasses are the perfect complement to any Halloween party or event. They’re stylish, classy, and custom. Here are some of our best handcrafted cocktail glasses for Halloween. Our hand-stamped gryphon glasses are the perfect way to bring a little Halloween magic to your drink and your celebration. A gryphon is a mythical beast with the body of a lion and the head and wings of an eagle. This mythological creature was considered king of the animals and often guarded highly valuable items. This makes it the perfect vessel for sipping your most treasured liquors. Our hand-stamped skull glass is perfect for a Halloween party or even for Dia de los Muertos (Day of the Dead). With its skull-inspired design, this glass will fit into any event centered around this spooky season. Whether you want to add a fun quirk or a longstanding artistic tradition to your drinking experience, our hand-stamped dancing skeleton glass has you covered. It’s joyfully morbid design makes it the perfect glass for Halloween or the day after. Of course, your friends are going to need some drinks to get through all your ghost stories and pranks, so this glass is almost a necessity! With our variety of spooky-style hand-stamped glasses, Glassblowerben is here to make your Halloween a little happier! Kick back, relax, and indulge in style with our handblown bar glasses. Whether you’d like one of the glasses mentioned above or some completely custom bar glasses, we’ve got you covered! Contact GlassblowerBen and make your Halloween magical today! Slanted drinking glasses are statements in the kitchen. Your standard drinking glass stands tall and cylindrical, but slanted drinking glasses add a whole new dimension to your cocktails. Whether you’re hosting a casual get-together or formal affair, slanted drinking glasses are a great way to bring attention to the cocktails you’re serving up. GlassblowerBen has mastered the art of making slanted drinking glasses. Glassblowing has been around since the 1st century BC, but not many people today have hand-blown glasses using traditional techniques. Whether standard or well-designed glasses, a lot of drinking glasses on the market are massed produced. Ben Dombey, the face behind GlassblowerBen, puts careful attention into every slanted glass he constructs. Each one has a flat bottom but slants at a 45-degree angle. They’re large enough to fit an 6 oz drink, but 8 oz can work if you want it to. Moreover, he’s been able to harness his creativity and make unique slanted drinking glasses that can even be customized with a stamp. Whether you prefer to mark a symbol of the great City of New Orleans or a personal phrase or set of initials, GlassblowerBen can customize a pair or several for you. These slanted drinking glasses can amp up the aesthetic of all your drinks. From a classic cocktail to an elaborate mixed drink, slanted drinking glasses will make everyone take a second look. Whether you want just a pair for a power duo to use or enough to serve up an entire party, you should order your slanted drinking glasses from GlassblowerBen today! Check out his Handmade Slanted Bar Glass and all the possibilities for customization in his store. Feel free to contact GlassblowerBen if you have any questions about ordering your very own slanted drinking glasses! If you enjoy reading our blog and learning about Ben’s glasses, check out this blog post on whiskey glasses. Our nation’s birthday is a great reason to celebrate. Whether you’re off to the beach, a backyard barbeque, or rooftop fireworks viewing, your 4th of July drinks need to be perfect. With everybody in the mood to raise a glass to the US of A, here are a few red, white, and blue 4th of July drinks you can throw together. Every kid on the 4th of July looks forward to the watermelon, and with this recipe, the adults can too! Watermelon margaritas require a little love in their multi-step preparation, but the result is a refreshing drink that is bound to be a hit. Check out the full recipe here, and don’t be afraid to pair the margaritas with a little bit of fresh fruit too. Who doesn’t love a tropical piña colada on a hot summer's’ day? Or maybe the rain hits you and you just need a reminder of a day on the beach. No matter how or where you’re celebrating with your 4th of July drinks, a few piña coladas for you and your friends can go a long way. Follow the recipe closely to ensure the perfect ratio of ice, juice, and booze. If you really want to emphasize your summer escape, get some tropical umbrellas or maraschino cherries to throw on the glass. This recipe uses Blue Curacao to create a refreshing spiked lemonade that takes no time to put together, so you can keep on pushing it out! The distinct blue color will stand out and have you thinking of the ocean, even in the most remote backyards. You can put it together in large batches if you wish, and add a festive flare with some American flag skewers to finish the drink off. So you might have all the booze and rimmers for your 4th of July drinks, but you’ll need some nice glassware next to serve it all up! When you’ve got a lot of people to serve, you need a large mixing pitcher to get everything together. GlassblowerBen’s Mixing Pitcher comes with a matching mixing stick to easily stir and keep stirring your favorite homemade cocktails. Each one can be customized when you order, so you can show off your patriotism with a “USA” if you’d like (but your last name, nickname, and so many other custom words work, too). Try out GlassblowerBen’s signature hand blown glass for all these homemade cocktails. The large rim is perfect for a salt rim or to fit a cocktail umbrella so you can easily serve up all your festive favorites! These are also customizable, so you can get whatever short message or a variety of symbols at the bottom for all your guests to admire. Browse GlassblowerBen’s selection of handmade glassware here to get ready for your 4th of July! If you’d rather make a tequila drink, read more about some summertime cocktail ideas on Ben’s blog. Feel free to contact Ben if you have any questions or want to order custom glassware for your business. New Orleans bars are known for interesting cocktails and stiff drinks and it’s clear that both locals and visitors alike love to drink. Many people know of the Hurricane, Hand Grenade, and Fishbowl drinks you can find on Bourbon Street, but the Sazerac is the official cocktail of New Orleans. The history of the Sazerac begins in New Orleans’ French Quarter, and the drink is readily available in almost all New Orleans bars today. Why Did New Orleans Bars Take Advice From A Pharmacist? Antoine Amedee Peychaud was a refugee from the West Indies who arrived in New Orleans in the early 19th Century. Peychaud, like thousands of refugees before him, was hoping to start a new life in New Orleans after escaping French rule on his native island. He opened a pharmacy in the French Quarter, but he was better known for his self-named Peychaud’s bitters than his store. He used his bitters, Sazerac de Forge et Fils cognac, sugar, and absinthe to make the “Sazerac”. He may or may not have begun to serve up the cocktail in his store, but we do know for sure that his bitters were sold to New Orleans bars as more people began to enjoy the drink. The history of the Sazerac could have stopped there but alcohol legislation and personal preferences evolved the cocktail. The Sazerac itself has evolved as certain alcohols became more or less available over time. First, cognac got replaced with any rye whiskey. This change has made the cocktail more readily available at New Orleans bars. Then, absinthe was banned in 1912 which changed some of the fundamental ingredients in the special cocktail. Fortunately, New Orleans bar patrons had no problem replacing absinthe with other liquors. The history and tradition surrounding the Sazerac has helped to sustain its modern popularity. The Sazerac was named the official cocktail of New Orleans in 2008 by the Louisiana House of Representatives and has remained so for the past 10 years. You can find the drink in many New Orleans bars, or you can try making it at home! So, if you want to enjoy one of these traditional whiskey cocktails, why not enjoy it in a glass that reminds you of its home? GlassblowerBen makes the best handmade cocktail glasses that are perfect for whiskey or any mixed drink. Hand-Stamped Fleur Des Lis Glass - Pour up a Sazerac with a little homage to New Orleans’ French roots. Hand-Stamped NOLA Manhole Cover Glass - Sip on your Sazerac with one of the most recognizable symbols of New Orleans at the bottom of the glass. GlassblowerBen doesn’t just have classic New Orleans cocktail glasses for your Sazerac, but all the glasses for your drinking needs. Check out the online store or contact us today! When choosing a glass for your whiskey drink, it’s easy to feel overwhelmed. There are so many different shapes and sizes available today that it can be difficult to know where to begin. Does the whiskey glass really matter? Although many would like to believe otherwise, the truth is your whiskey glass really does make a difference. 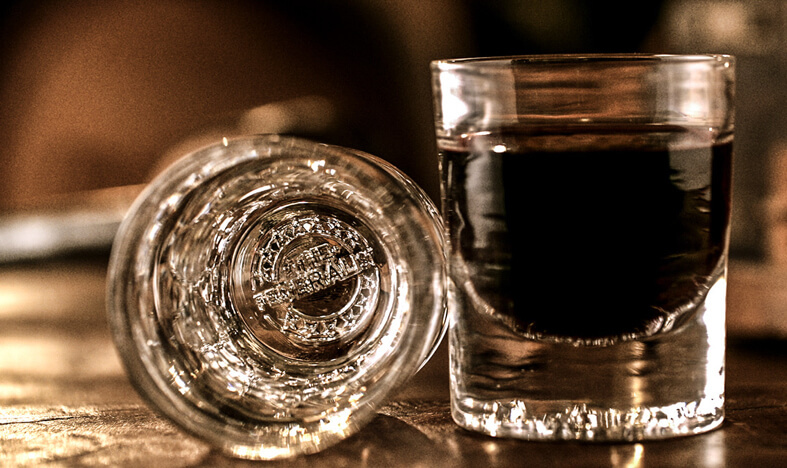 There are a few reasons the perfect whiskey glass will make your drink the best it can be. The perfect whiskey glass is short with a wide lip. They are often cylindrical, but they don’t have to be. It may be referred to as an “Old Fashioned” or “Rocks Glass,” but GlassblowerBen calls it the Dombey Glass. This design is important for your whiskey consumption for a couple of reasons. 1. You can comfortably fit a few ice cubes. Chilled whiskey has a more enhanced flavor than its room temperature counterpart, but ice can dilute the flavor if too much melts. The size of a perfect whiskey glass is wide enough to fit a few ice cubes and allows you to easily scoop them out if you need too. Another solution to this problem is using whiskey stones. Although you won’t dilute any flavors using these, you may find that a little melted ice makes the whiskey taste better. 2. You can stir your whiskey cocktails. Whiskey is such a versatile alcohol because it’s great on its own, but also it goes well with so many different flavors. Whether you’re enjoying whiskey with different fruit concoctions or specialty cocktail bitters, mixing up your drink while taking your time to enjoy it is important for its flavor. A perfect whiskey glass is wide so you can easily and regularly mix up your cocktail. A smaller whiskey glass allows you to savor your drink and hopefully not drink too much alcohol too quickly. The perfect whiskey glass is pretty short when compared to other glass options. Smaller whiskey glasses range from 6 - 10 ounces, and larger ones may hold up to 14 oz. If you’re now ready to enjoy some bourbon, rye, or classic whiskey, then get yourself the perfect whiskey glass! The Classic Dombey Glass fits a few ice cubes, allows you to easily stir your drink, and fits just the right amount of alcohol. Try it in small, medium, and large. If you want to feature more unique glassware to your family and friends, try GlassblowerBen’s Handmade Slanted Bar Glass. At its 45-degree angle, this glass is sturdy and show-stopping. It fits all the criteria of a perfect whiskey glass while standing out from the crowd. Browse GlassblowerBen’s selection of handmade glassware here to stock up your bar! If you’d rather enjoy a tequila drink this summer, read more about some summertime cocktail ideas on Ben’s blog. Feel free to contact Ben if you have any questions or want to order custom glassware for your business. If there’s anyone in New Orleans who can make you a custom handblown glass, it’s Ben Dombey. Ben started his company, GlassblowerBen, after his studies at Tulane University and Rochester Institute of Technology (RIT). He found his lifelong calling in 2003 when glassblowing came into his life. As a Tulane undergraduate, Ben majored in studio art and focused his studies solely on glassblowing. Then, he moved to RIT in New York, where he received his Master of Fine Arts degree in 2012. He’s been all around the world to pursue his passion, learning from experienced glassblowers who helped him become the artisan he is today. Everyone who likes whiskey or good liquor deserves the right serving glass. The original custom whiskey glass made at GlassblowerBen is perfect for an end-of-day cocktail. GlassblowerBen makes handmade custom glasses that are perfect for casual drinkers or glass collectors. Ever since making the original glass, Ben has been creating different sized glasses for mixed drinks of all kinds. Glasses are made through lung power and are fully U.S. domestic. Unlike glasses you can buy at your average kitchen goods store, custom glassware by GlassblowerBen is heavy and feel great to hold in your hands. Each piece of glassware has its own unique texture on the bottom that shows off the beauty of whichever beverage you sip. The best part? Each glass has its own stamp on its base. These stamps include engraves of Louisiana, fleur de lis, shamrocks, and so much more. Some glasses are even slanted for a unique mixed drink experience. All glasses are the perfect “gift for him” on any holiday or birthday. Lung-blown, hand-stamped, and locally-made, these glasses are made in a furnace that’s 2100 degrees. The extensive process of Ben’s glassblowing techniques begin by placing sand solution into a furnace that sits at a melting 2100 degrees Fahrenheit. Meanwhile, steel blowpipes are preheated to begin the glasses’ shaping process. Ben then grabs an almost honey-like bulb of molten glass material out of the furnace. Before blowing the glass, it’s quickly shaped. Once the molten glass is shaped like a bulb, Ben holds the other end of the blowpipe to his mouth and takes a blow. After that, the glass construction begins, the final shaping and stamping is done, and the glass is thrown into a kiln for a day or two to cool and prevent cracks. Watch the full video of Ben making glass to understand the process from start to finish. If you’re looking for the perfect bachelor party gift, great birthday gifts for men, or a special present that makes you stand out from the crowd, a glass from GlassblowerBen is right for you. Shop for your very own custom handblown glass at GlassblowerBen today! Good Morning! I'm gonna give this a go for a bit. If nothing else, a good reason to make myself sit at my desk a bit longer. I don't enjoy desk time much, Id rather be next door playing with molten glass; but the business will not run itself. Ran out of oxygen so I could not make glass yesterday, as the new tanks did not get here till late in the afternoon. But I had a productive day of cleaning and getting in some beloved desk time in... Also got a nice loaf of bread in the oven. I am really enjoying loafing around making my own bread. Looking forward to fall and the weather cooling off a bit before the oven in my apartment is on too much. I took a die with a flaw in it to a jeweler friend and he worked his magic and fixed it perfectly! Got to get the day going, but I'll try to do this again tomorrow. Hope you have a great day.